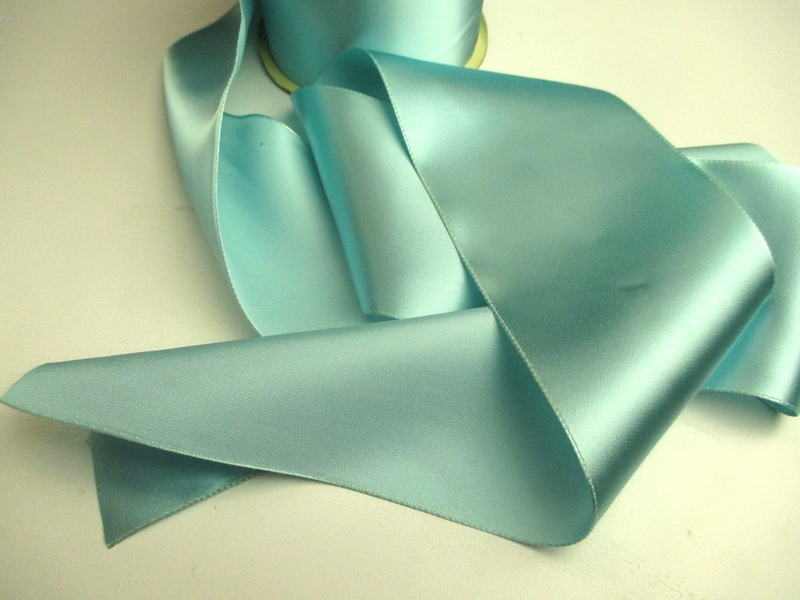 High quality aqua satin ribbon from the 1930s. 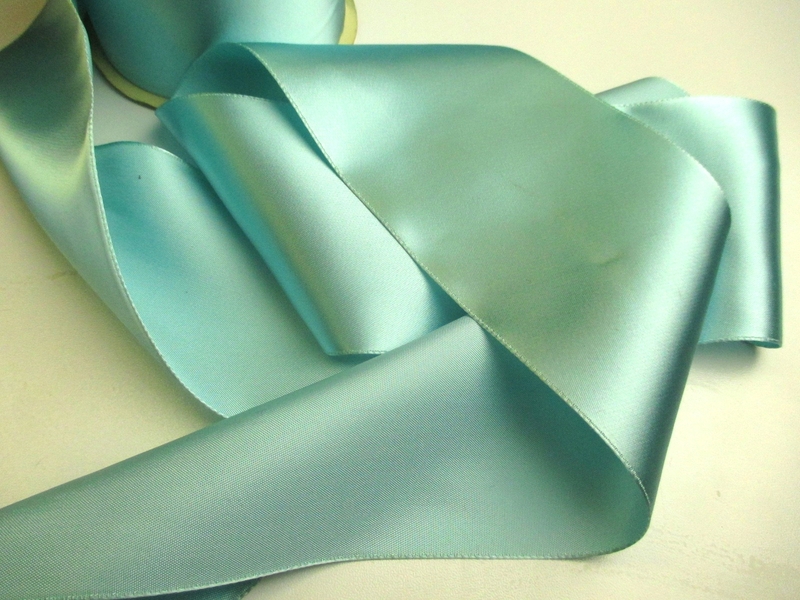 Ths satin taffeta ribbon is fashioned of 100% rayon. 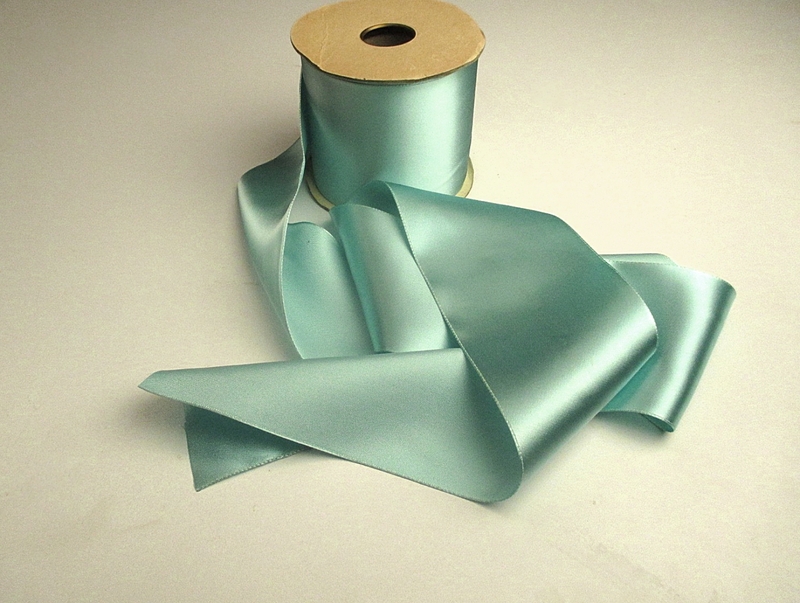 It has a beautiful sheen on one side and is light weight. Old store stock on the original roll. Price is per yard. Width is 3-1/8"